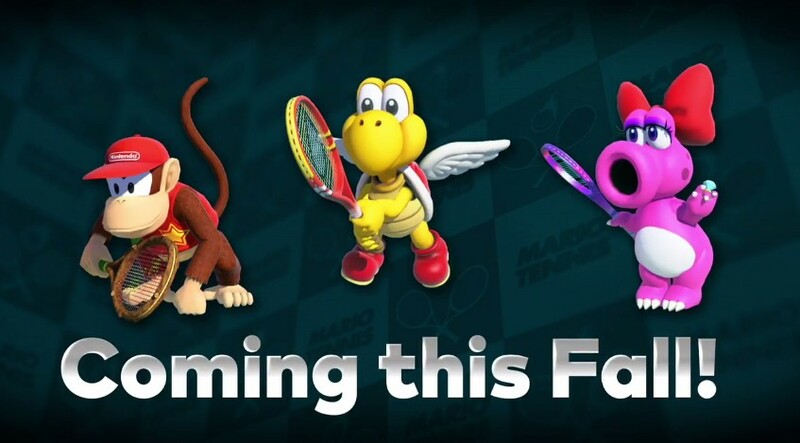 In a brand new Mario Tennis Aces trailer uploaded this morning, Nintendo announced three new playable characters will be added to the game in Fall 2018. The characters are Diddy Kong, Koopa Paratropper, and Birdo. They will be added to the game via a free update.